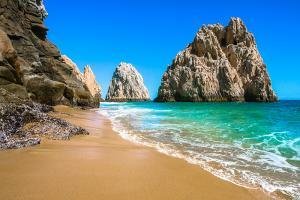 Set on the southern tip of the Baja Peninsula, Los Cabos is well known for its white-sand beaches and crystalline waters. Encompassing the lively and chic Cabo San Lucas and the more laid-back San José del Cabo, Los Cabos offers visitors the best of both worlds. Los Cabos is a quick flight from, and very well connected to, many U.S. cities, and offers an abundance of hotels and resorts to suit every taste and budget. Set on Mexico's sunny west coast, Puerto Vallarta and Riviera Nayarit offer a quintessentially Mexican vacation. 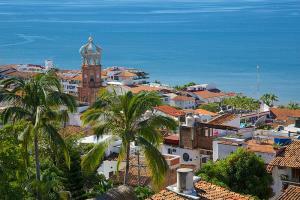 With its cobblestone streets and historic downtown area, Puerto Vallarta exudes colonial charm. 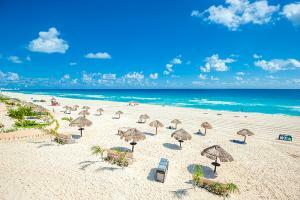 Here, you'll also find a bustling marina, gorgeous lush tropical jungles, world-class cuisine and lively nightlife. The quaint fishing villages of Sayulita and Bucerias in Riviera Nayarit will captivate you, while Punta Mita offers a tranquil escape. Be sure to visit Riviera Nayarit's hidden beach. Valid on new bookings 9/3 - 9/16/18 for select 2018 and 2019 travel. Blackout dates may apply.